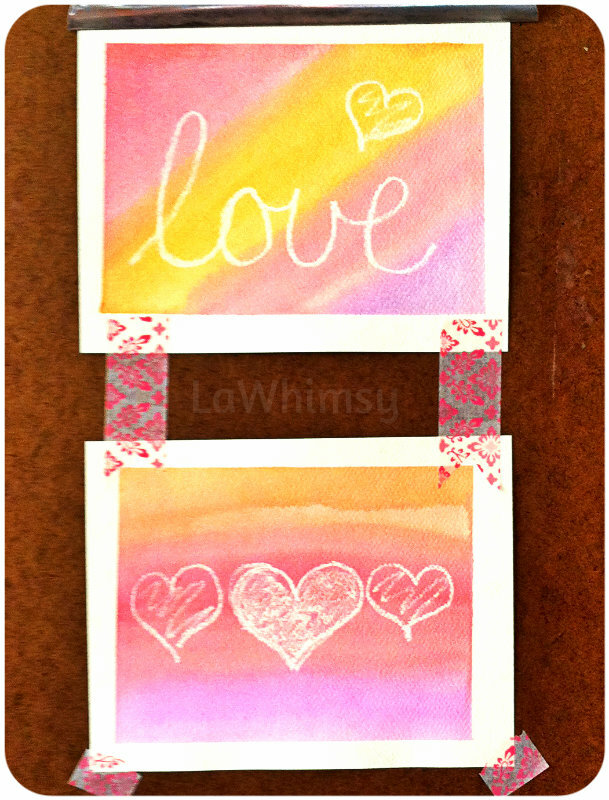 Here’s a glimpse of two easy-peasy art cards that I made using card stock, a white crayon, watercolor paints and washi tape (first to tape the cards to my work surface and then to hang them together). Cute, simple and endless possibilities – what more could one ask for? !